Powerful hammer mechanism: delivers 2.7 J of impact energy at low 8.9 m/s2 vibrations. All metal gear case – optimum seating of the gears for enhanced service life. Maximum drilling in concrete: 26 mm. FIXTEC™ system - keyless chuck changing. Compatible with M18CDEX dust extractor. • Vibration: Sub 10.9m/s2 for increased daily usage. • Capacity: up to 30m wood / 13mm metal / 26mm concrete. 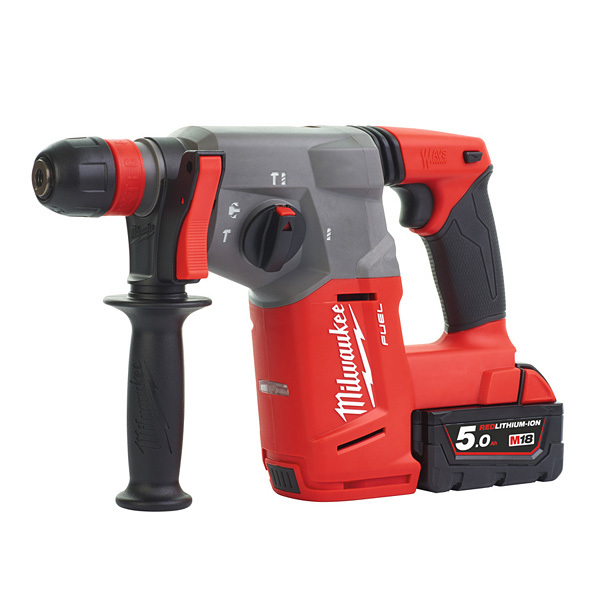 • 5.0Ah Battery usage: drill up to 120 x 6mm x 40mm holes in poured concrete.